The Tormentor whisper 380 has an all weather composite stock with rubber padded grips for comfort and convenience. 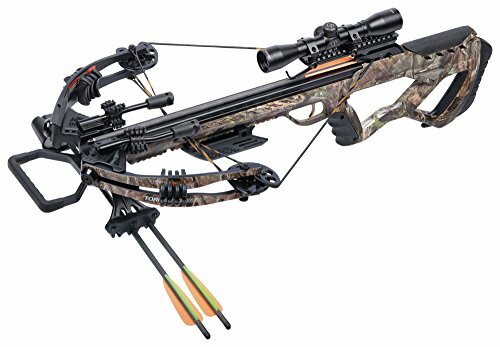 This crossbow has a whisper silencing system that includes two string stoppers with silencers and two limb dampeners, two spider silencers for the ultimate in noise reduction and vibration control. If you have any questions about this product by CenterPoint, contact us by completing and submitting the form below. If you are looking for a specif part number, please include it with your message.